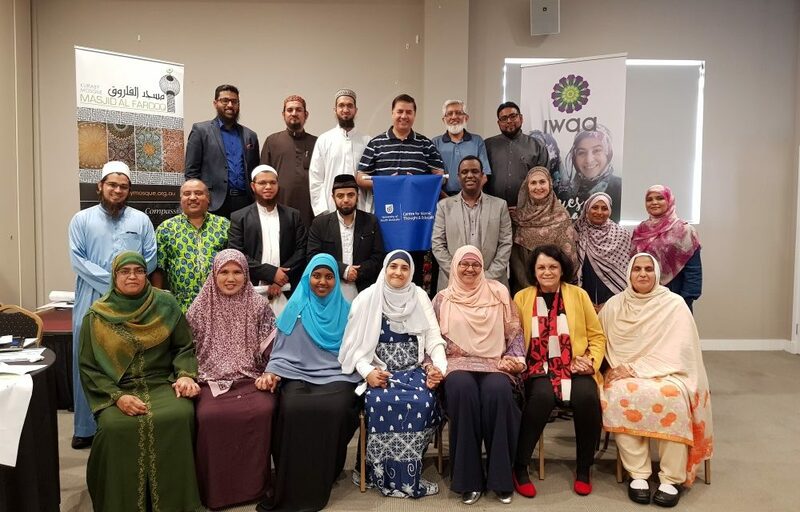 A workshop on domestic violence was held from Saturday 3 to 4 February 2018 at the Islamic Women’s Association of Australia premises in Springwood, Queensland attended by more than 30 Muslim Community leaders. 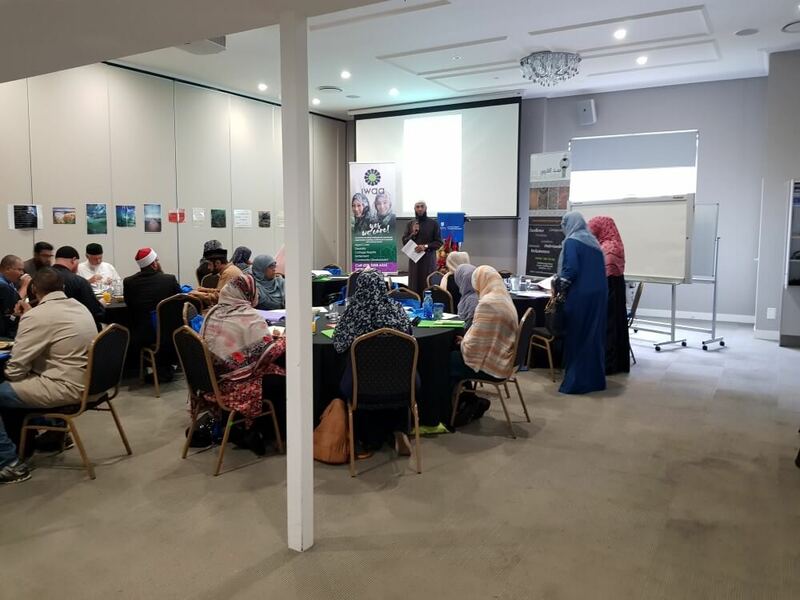 The topic for the workshop was Empowerment Program for Domestic Violence and it was organised in partnership with Kuraby Mosque, Centre for Islamic Thought & Education (CITE), University of South Australia and sponsored by the Islamic Women’s Association of Australia (IWAA) and Relationships Australia Queensland (RAQ). Relationships Australia Queensland was contracted to co-design and co-deliver this program. The project was led by Dr Nada Ibrahim from CITE and funded by Queensland Government as part of the Celebrating Multicultural Queensland initiatives across Queensland. The 2-day intensive event, with a breakfast start, included a combination of presentations and workshop-based individual, paired and group activities. The sessions were co-facilitated by Aunty Debra Bennet (RAQ), Dr Nada Ibrahim (CITE), Mohammed Abdi (RAQ), Riyad Rahimullah (RAQ) and Muna Ibrahim (IWAA). 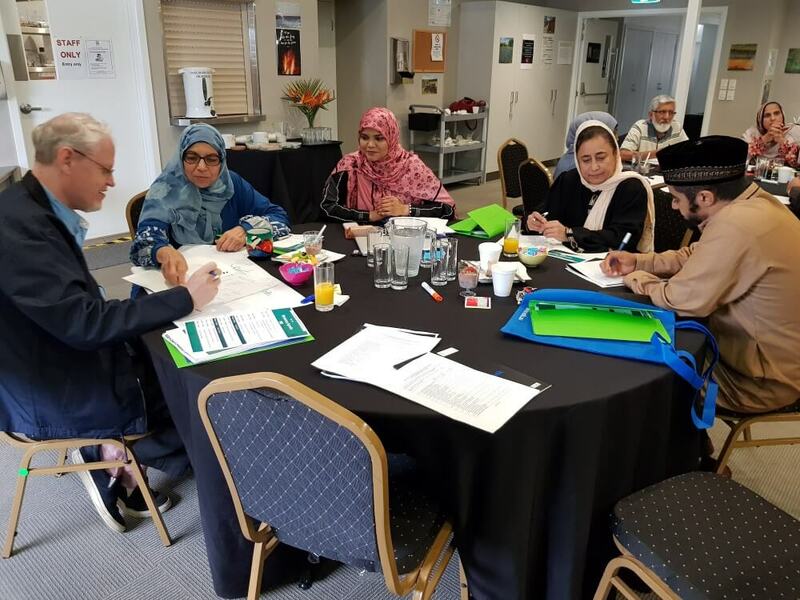 Evaluations from the members of the Muslim community who attended the event were very positive and it was heartening to see a lot of learning had taken place increasing the community’s capacity to respond to victims of DFV in a non-judgemental and supportive way. Requests for more workshops were made by those attending and the need to have more Leaders/Imams and Organisations involved in similar trainings to build a referral system on DFV. As a way forward, further training on identified areas of training will be pursued and an exciting group will be formed as a result. The interactive activity based training was very well received by participants as it allowed them to share diverse opinions and understand diverse perspectives. Particularly the individual activities, paired activities, group activities, role plays were of great benefit in achieving the objectives of the program. As Community Leaders and Imams have very limited time, all learning had to occur during the sessions, we avoided having talkfests and made the sessions practical so that individuals could learn from the experiences. Of particular benefit was Leaders/Imams realising that attitudes/beliefs stem from levels of country-of-origin, culture-of-origin and family-of-origin. Being able to work from a strength-based approach was necessary so that individuals could recognise that victims need a strength-based approach when their issues are being addressed. The trauma-informed narrative practice model delivered by Aunty Debra Bennet was instrumental in participants realising the trauma that victims faced with DFV and that it has an impact on the decisions of a victim and what was of most benefit was helping victims develop post-traumatic resilience so that they can heal the trauma and be empowered (this is a particular core of the inspired NAFSi Personal Leadership Program – one of CITE’s signature programs under Dr Nada Ibrahim’s portfolio). The group activity of identifying myths of DFV was very useful as participants were then able to identify what was reality and what was myth when it came to DFV to give them a better understanding of the complexities of DFV when responding to DFV. This was further reinforced by the victim’s internal & external voices activity where Leaders/Imams were able to understand the conflicting information that a victim was being subjected to that was complicating her decisions regarding DFV. The privilege activity also added to making leaders realise how privilege can be forcefully taken away from a victim when facing a DFV situation. The feedback from participants was testimony that these activities achieved the objective of making leaders realise the complexities of these decisions for victims and to take a non-judgemental approach when working with victims. The bystander and iceberg models were particularly useful in illustrating that underlying DFV abuse exists layers of disadvantage, unequal opportunities and discrimination against women. The bystander model was particularly useful in making participants aware that they couldn’t afford to not take action in cases of DFV. The feedback received from the participants was illustrative of this realisation. A deeper understanding of the complexities in defining DFV and its various forms and statistics surrounding it was important for participants to realise the severity of DFV. 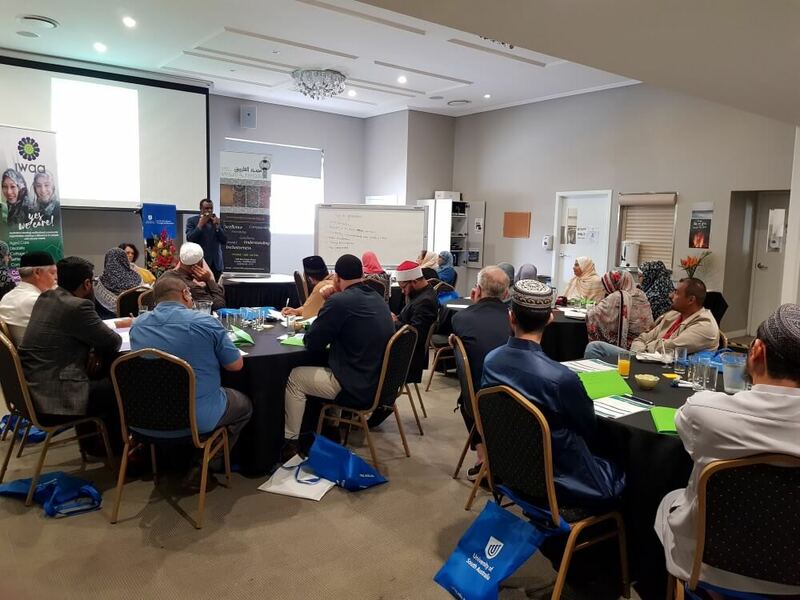 An understanding of the extent of DFV perpetration and victimisation in the Muslim community made the problem real to the participants and this was reflected in the comments from participants. Also, the exercise on generating the possible factors that lead toward perpetration and harmful attitudes towards DFV was of benefit as it made them realise the value of evidence-based research (that was then presented by Dr Nada Ibrahim from her DFV research) in identifying factors that need to be addressed when responding to DFV prevention. 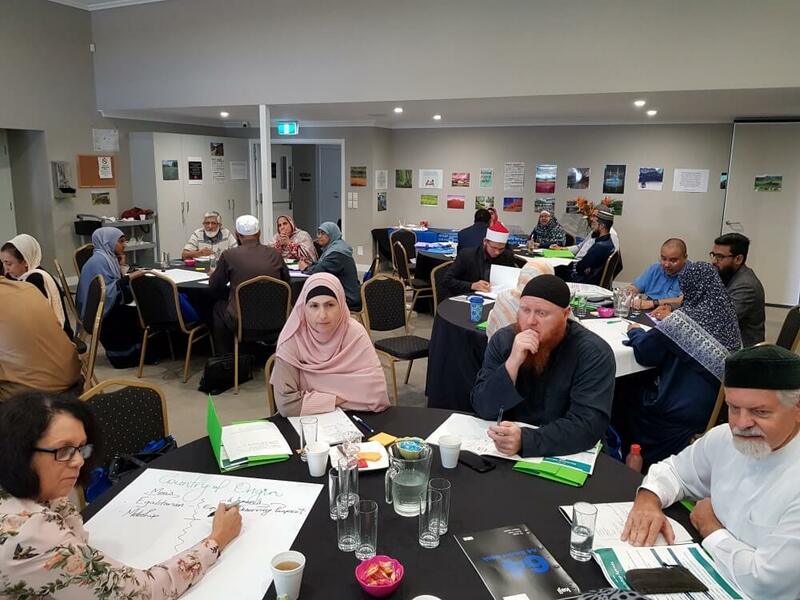 Identifying the strengths of the Muslim community and families through the group activity of what Islam says about social justice values, community & diversity, family & marriage, and respect & compassion was particularly useful so that participants could identify the strengths of the community. Often communities are focussed on fragilities of the community and don’t realise the strengths that can be drawn upon when addressing DFV. One of the participants articulated how challenging it was to identify the strengths of the community because of the conditioning of focussing on negative rather than positive. The strength-based activity further reinforced the importance of working from a strength-based approach. Role-plays were great for participants to identify in their groups and engage in how DFV is manifested in the family, workplace, community and cyberspace. All these activities were paramount in identifying DFV in various settings and particularly what Leaders/Imams can do to respond to DFV in these situations. The activity of identifying barriers to reporting of DFV and why it wasn’t reported to police was reinforced by research data of Dr Nada Ibrahim that had interviewed Muslim victims of DFV and their experiences when interacting with the Australian Criminal Justice System. 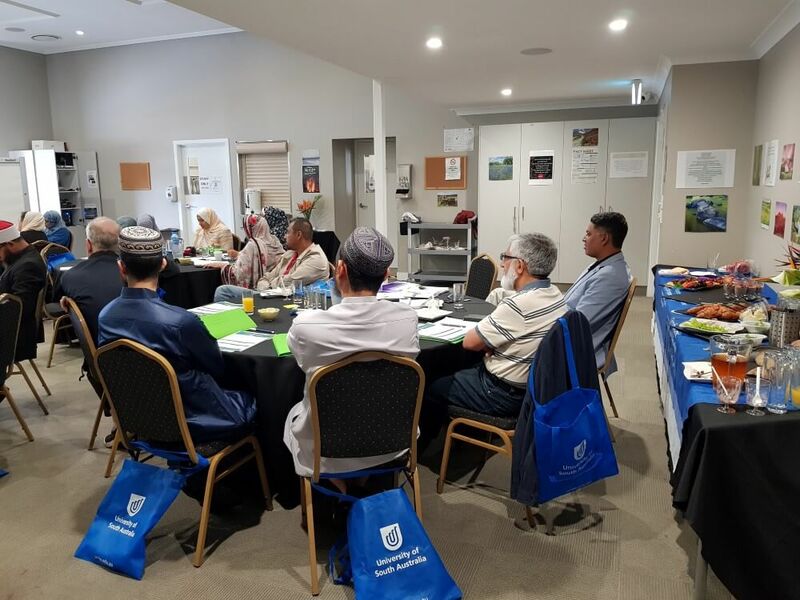 This was a segway to Senior Sergent Neil Gardener’s presentation on how the police respond to DFV and some of the challenges that they encounter when dealing with Muslim cases of DFV. It was a great opportunity for Leaders/Imams to ask questions and get a response to build trust with police and vice versa on issues related to DFV. The activity that followed was a roleplay on best practices when responding to DFV situations (role-played by facilitators). This was particularly important for Leaders/Imams so they could identify their own biases when responding to DFV cases. What added value was having a teacher talk about what they would do in schools when faced with a DFV situation and the automatic process that would be triggered when DFV was identified such as safety of the victim, safety plan, etc. The activity on duty of care added significant value to Leaders/Imams so they could identify their duty of care when presented with a DFV case. Part of this involved identifying recent changes to legislation on DFV. The activity that followed helped participants identify what a healthy relationship looks like and how men can take responsibility in preventing DFV. As these were Muslim community leaders it was vital that they have a space to discuss the Islamic perspective on the issue of DFV. A role play was first acted out on how religion is misused by perpetrators to perpetuate DFV and particularly how verse 4:34 of the Quran is misused. Many Leaders were not able to identify what verse 4:34 of the Quran pertained to so having a table discussion on the topic was of great benefit. Having Imams at the tables was particularly useful in guiding this process. Leaders/Imams discussed how they would educate the community on verse 4:34 and how they as leaders can break the cycle of violence. 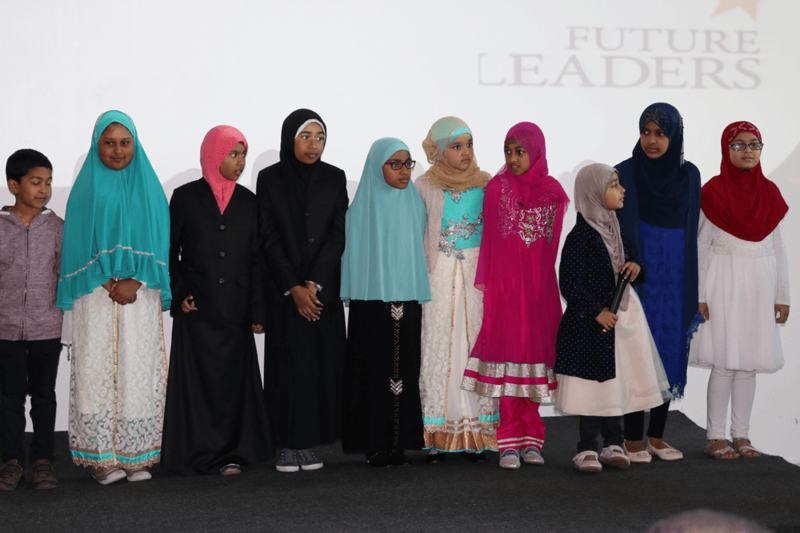 A number of resources were provided as a start for leaders to gain a better understanding of the Islamic perspective to DFV. 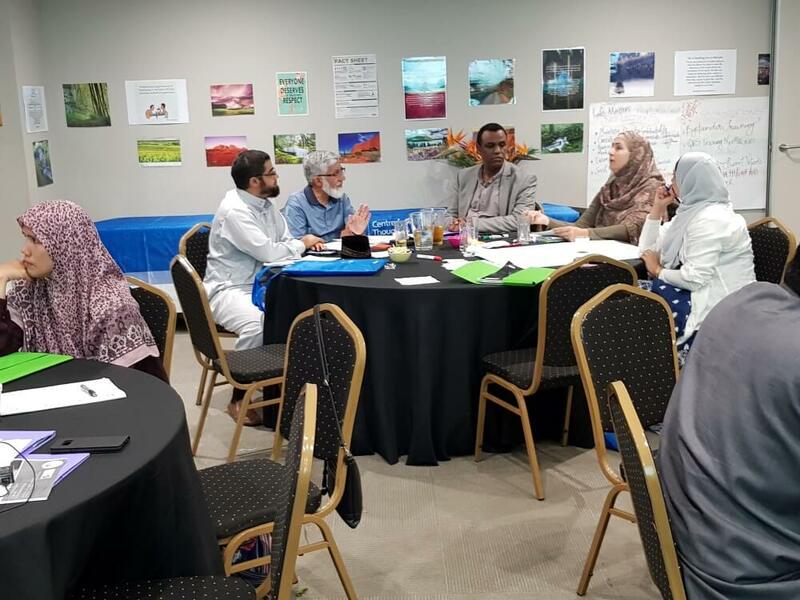 To preamble, the necessity of collaboration, a paired activity on facilitating collaborations was engaged in so participants can realise that how miscommunication or no communication and competition can become an impediment when responding to DFV cases in the Muslim community. A plan of action was then discussed by individual groups to design how they could respond to DFV to create safer families, more respectful and responsive workplaces and communities and actions and resources needed to address DFV. The workshop ended with a commitment of short-term, medium-term and long-term identification of what Leaders/Imams would do to respond to DFV. Short-term goals were shared with the rest of the participants. Leaders/Imams benefitted by being equipped with knowledge and skill on strength-based language. Identifying men’s and women’s roles from the perspectives of country-of-origin, culture of-origin and family-of-origin and the challenges in doing so. 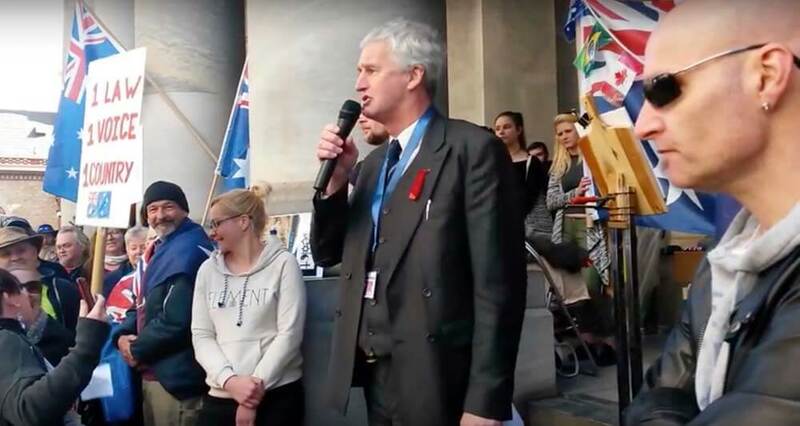 Privilege and its erosion for DFV victims. Internal & external voices of DFV victims, Bystander & Iceberg models; understanding DFV dynamics and statistics (including those for Queensland Muslim community). Strengths of Muslim communities and families based on social justice values, community & diversity, family & marriage, respect & compassion. DFV response in family, workplace, community & cyberspaces. 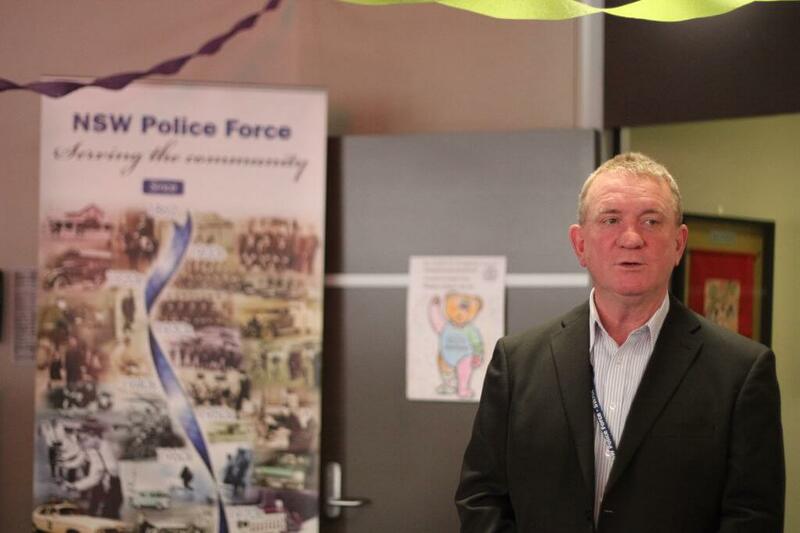 Police response to DFV and challenges encountered when responding to DFV in Muslim communities. Developing rehearsed plan when responding to DFV in Muslim communities; teachers’ response to DFV. Legislation and duty of care for Community Leaders when responding to DFV. Powerkit on DFV dynamics and identifying respectful healthy relationships. Developing a strategy on how leaders can break the cycle of violence, how they can educate themselves and their communities on DFV, creating safer families and homes and creating responsive workplaces and communities. We thank Allah and every Leader/Imam of the Brisbane Muslim community (and acknowledge those who registered but couldn’t attend due to unforeseen circumstances) who were involved in making this a hugely successful event alhamdulillah. Kuraby Mosque and CITE would like to thank Imran Nathie from the Kuraby Mosque Board of Trustees for all his time, efforts and advice during the preparation of this project and its execution. We would like to thank Prof Mohamad Abdalla from CITE for all his support and doing the introduction on the first day. We would also like to thank Imam Ahmed Nafaa (material review) and Mahbub Hassan (recruitment) from Kuraby Mosque for all their assistance in this project. We would like to thank Muna Ibrahim from IWAA for helping in the recruitment of the participants as well as all the help in organising catering, being a soundboard and other assistance throughout the project. We would also like to thank IWAA for sponsoring the venue for this project. We would like to thank Imam Mohammed Azhari from Council of Imams Queensland for all his assistance in recruiting Imams for the project. 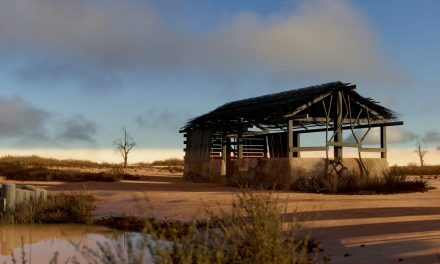 We would also like to thank Relationships Australia Queensland (particularly Aunty Debra Bennet) for all their assistance, efforts and skills in the co-design and co-delivery of this project. The outcome of this project is ongoing and we are positive that we will see a positive movement in the response towards DFV in the Brisbane Muslim community. Dr Nada Ibrahim is a Senior Research Fellow at the Centre for Islamic Thought & Education, University of South Australia with a PhD(Criminology), M.Ed(Guidance & Counselling) and B.HSc(Psychology with an Islamic Psychology intersect). Her expertise is in building healthy family relationships including intimate partner violence (IPV) in Muslim communities, domestic and family violence (DFV) in faith-based and culturally and linguistically diverse communities and offers culturally and religiously appropriate prevention/recovery strategies in addressing DFV in Muslim communities.